The prolonged easterly airstream continued as the Scandinavian high pressure system filled and slipped further south, dragging warm air up from the continent as it did so. By the week’s end, local temperatures had hit 22°C and migrants continued to arrive in significant numbers throughout the period. Now sporting a predominantly yellow bill, thereby graduating to ‘first-summer’, the Whooper Swan continued its prolonged stay at Thrapston GP throughout the week, as did at least two of the three Pink-footed Geese. Summer Leys LNR retained its monopoly on Garganeys, a drake remaining for the duration and being joined there by another on 17th, while Daventry CP produced the only Red-crested Pochard of the week, a drake on 19th. A Great Northern Diver was again reported from Pitsford Res on 16th – the day prior to a Cattle Egret being discovered feeding with cattle at the northern end of the Stanwick GP complex, where it remained at the week’s end. It’s difficult to be certain but it would seem highly likely this is the same individual which had been present, on and off, in the nearby Delta Lake area of Ditchford GP, where it was last seen on 30th March. The contours and vegetation of its chosen feeding area, at Stanwick’s North Lake, render it difficult to see, suggesting it may have been on site for some time prior to 17th. By contrast, Great Egrets were, as usual, far more obvious, with Stanford Res taking the lion’s share of three on 13th and 16th, while Summer Leys retained two and singles were seen Daventry CP, Earls Barton GP, Foxholes Fisheries (Crick), Oundle, Stanwick and Thrapston. Ospreys were recorded at four sites during the period, including singles in the Nene Valley – flying east at Earls Barton GP on 13th and west at Oundle on 15th – at Hollowell Res, where there were two different birds on 16th and at Pitsford Res on 16th, 18th and 19th. Wader passage continued to gain momentum as another Grey Plover appeared at Clifford Hill GP on 18th, remaining there the following day. 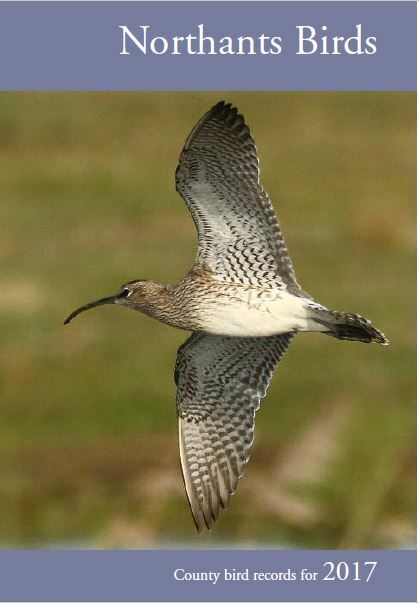 The first Whimbrels of the spring appeared on 17th, when two visited Hollowell Res and one was found at Summer Leys, from where further records of one came on 18th and 19th and two Black-tailed Godwits remained there from 16th to 19th. A Bar-tailed Godwit also put in a brief appearance at Summer Leys on 15th and another appeared at Clifford Hill GP, late on 19th while back at Summer Leys, a Ruff was present on 15th and again on 17th. Up at Stanford Res, the year’s first Greenshank was found on the dam on 15th, while single Jack Snipes lingered at Hollowell Res on 13th and on floodwater at Barnwell the following day. Hot on the heels of last week’s, a trio of Black Terns included one briefly at Summer Leys on 18th and two at Hollowell the next day. Similarly, an Arctic Tern was at Summer Leys on 16th and further down the valley, two visited Ditchford GP on 19th. Numbers of Little Gulls fell flat compared with the previous week’s influx, with Summer Leys producing one on 17th and 18th, two visited Wicksteed Park Lake on the same dates and two were at Thrapston on 18th-19th. Coming to a Black-headed Gull colony near you, two adult Mediterranean Gulls – clearly a ‘pair’ in the traditional sense of the word – appeared to be prospecting suitable breeding sites in the Nene Valley on 19th, being seen first at Stanwick before moving to Summer Leys and then heading back down the Nene to Thrapston. Last of the larids, this week’s ‘token’ Yellow-legged Gull was at Pitsford Res on 15th. Late in the season but not unprecedented, a Short-eared Owl was out at the northern end of the Stanwick complex during the evening of 19th and the wintering Great Grey Shrike remained in the Brampton Valley below Hanging Houghton until at least 17th. The second Woodlark to be found in the county this year flew east over the dam at Pitsford Res on 15th. Surprisingly, for a species which breeds only tens of kilometres from Northamptonshire and is also a migrant, there have been only three previous records this century (2001, 2014 and 2016) as well the aforementioned individual in January this year, if accepted. Of more reliable occurrence and only to be expected in April, however, is Pied Flycatcher but predicting just where one will turn up is far less easy. Trees bordering a playing field at Barton Seagrave would not be the first choice locality for many a birder to go looking but that’s precisely where one was found, late in the evening on 16th. Male Common Redstarts (Gary Pullan). Hellidon, 13th April 2019 (left), Daventry CP, 16th April 2019 (right). Common Redstarts were a little more abundant, though, with single males at Hellidon on 13th and 18th, Daventry CP on 15th, near Rothersthorpe on 16th and at Summer Leys on 19th, while Northern Wheatears were even better represented by singles at Stanwick and Pitsford Res on 15th, Harrington AF on 16th and 19th, near Brackley on 17th, at both Kelmarsh and Rushden on 18th and in the Brampton Valley below Hanging Houghton on 19th. In addition, five were at an undisclosed locality on 18th. This week’s White Wagtails were fewer in number compared with last week and included singles at Stanford Res on 14th and 19th, with three there on 17th and further singles at Pitsford Res on 14th and Hollowell Res on 17th. Following last week’s swing to a south-easterly airstream, the period began with more of the same, the wind quickly turning east to north-east as a high pressure system became anchored over Scandinavia for much of the week. Low cloud, mist and occasional drizzle ensued – such conditions being the stuff of dreams on the east coast in autumn. This was, however, Northamptonshire in early April but the birds did not disappoint, with Little Gulls once again rising to prominence alongside early Black Terns and the arrival of more summer visitors. Still in apparently no hurry to leave, the first-winter Whooper Swan remained at Thrapston GP until at least 7th and the three Pink-footed Geese continued to be seen there, present and correct, through to the week’s end, on 12th. A drake Garganey also remained at Summer Leys LNR throughout the period and last week’s drake Red-crested Pochard was still at Pitsford Res on 10th. However, it was the Nene Valley that cashed in on the first spring migrant Common Scoters of 2019, with four remaining all day at Summer Leys on 9th. After an apparent absence of two weeks, a Great Northern Diver was reported again at Pitsford Res on 8th and apart from three Great Egrets at Thrapston GP on the same date, twos were seen at each of Stanford Res and Sulby Res, while singles were present at Ravensthorpe Res, Stanwick GP and Summer Leys. A distant view of an unidentified male harrier at Fawsley Park on 7th suggested another week in which a Hen Harrier visited the county, but these days nothing is a given and, as they say, other harriers are available … Prior to that it had also been seen at nearby Eydon. Ospreys continued to move through, with singles visiting Pitsford Res on 8th, Ravensthorpe Res on 9th, Summer Leys on 10th and 11th, Ditchford GP on 11th and Thrapston GP on 12th. On 11th, the Summer Leys sighting of one moving east was only 25 minutes prior to that of the eastbound bird at Ditchford and indeed, all the Nene Valley occurrences may have referred to the same individual. Also on the move, another Common Crane flew high north over Hanging Houghton, early in the evening on 12th. Wader interest was piqued this week as the first two spring Grey Plovers made landfall at Hollowell Res on 8th, both remaining until the following day, when two Black-tailed Godwits were found at Stanwick GP and a Bar-tailed Godwit appeared at Clifford Hill GP. Hot on their heels came a Knot on the A45 Lay-by Pit at Stanwick, on 12th, although its visit there was all too brief before it continued its northward migration, moving on shortly after its discovery. In addition to these expected spring migrants, single Jack Snipes were still at Hollowell Res on 6th and at Upton Mill (Northampton) on the same date. Following the trickle of Little Gulls during the last day of the previous week, the dam burst and many more appeared at reservoirs and gravel pits across the county. The largest numbers arrived on 8th, when the highest site counts were twelve at Stanford Res and eleven at Hollowell Res and 9th, when twelve were at Clifford Hill GP. Additionally, records throughout the seven days came from Boddington Res, Ditchford GP, Pitsford Res, Ravensthorpe Res, Stanwick GP, Summer Leys and Thrapston GP. The influx is likely to have involved almost one hundred birds. Caught up among the many Little Gulls and no doubt ushered in by the easterly winds, were the first Black Terns of the spring. One at Summer Leys on 7th was quickly followed by another at Clifford Hill GP the following day. These two are the earliest ever to be recorded in Northants, both narrowly beating the previous record holder, which was at Ditchford GP on 9th April 2017. Arctic Terns arrived too, with singles at Hollowell Res on 8th, Boddington Res and Clifford Hill GP on 9th and two paid a brief visit to Stanwick on 10th. Stanwick also produced all two of this week’s Mediterranean Gulls – an adult on 6th and a second-summer on 8th-9th while all, bar one, Yellow-legged Gulls were to be found at Daventry CP, which held singles from various age groups on 7th, 9th 11th and 12th with two there on 8th. The other one was at Pitsford Res – also on 8th. The long-staying, wintering Great Grey Shrike – by far the easiest to see in the county for decades – remained in the Brampton Valley below Hanging Houghton throughout the week but the other passerines recorded this week were all of a transitory nature. Two Ring Ouzels comprised singles at Gretton on 7th and another photographed in a garden at Hellidon the following day. A male Common Redstart was in scrub north of Mary’s Lake at Earls Barton GP on 11th and more Northern Wheatears included two at Clifford Hill GP from 6th to 11th, one at Pitsford Res on 7th and up to four near Bugbrooke on 7th-8th, while two relatively early male Greenland Wheatears were found in a paddock east of the country park at Daventry on 11th. Despite a warm start on day one, temperatures subsequently plummeted as the winds quickly swung northerly, remaining so for much of the week. Hail and snow were notable features of 3rd, before the wind did a one-eighty at the end of the period and more welcome south-easterlies helped lift temperatures and spirits by producing a last-minute flush of Little Gulls. Hanging on in there, the first-winter Whooper Swan and the three Pink-footed Geese were still at large at Thrapston GP on 3rd and 4th respectively, while last week’s drake Garganey (or another) was at Summer Leys LNR from 1st to 5th, being joined by a second drake on 4th. Last week’s drake Red-crested Pochard was still at Pitsford Res on 3rd. Great Egret numbers continued to dwindle. No more than two were reported at each of Stanford Res, Summer Leys/Earls Barton GP and Thrapston and last week’s Cattle Egret remained at Ditchford GP’s Delta Lake until at least 30th. Osprey, Pitsford Res, 1st April 2019 (Matthew Rivers). Male ’03’ from Rutland Water. This week’s waders were limited to three – maybe four – Black-tailed Godwits at Summer Leys on 30th, with one remaining until the following day. Always well-received and a delight to watch, arguably the most popular new arrivals this week were the adult Little Gulls appearing at the eleventh hour, on 5th. No doubt aided and abetted by the strong south-easterly airstream, these included singles at Daventry CP, Stanford Res and Summer Leys, while two were found at Hollowell. Also never to be sniffed at, summer-plumaged adults of the ‘big version’, Mediterranean Gull, were at Summer Leys on 30th and two visited Stanwick on 31st and 5th, while a second-summer was seen at Pitsford on 30th. Two Short-eared Owls this week comprised a fly-by at Blueberry Farm (Maidwell) and one still at Neville’s Lodge (Finedon) on 1st, while the long-staying Great Grey Shrike remained at the first of these two localities throughout the period. Over at Wicksteed Park, Kettering, a ‘Nordic’ Jackdaw was seen on 2nd and the first Common Redstart of the spring – a male – was found at Moulton on 5th. More Northern Wheatears appeared this week, with singles at Harrington AF and Kingsthorpe Meadows LNR (Northampton) on 31st and one again at Clifford Hill GP on 5th but still thin on the ground, a White Wagtail appeared at Hollowell Res on 4th. In the far north of the county, two Crossbills – a male and female – were still at Wakerley Great Wood on 31st. The week remained dry, largely sunny and pleasantly mild, with a predominantly light westerly to south-westerly airstream – conditions which were again conducive to migration. The birding wasn’t too shoddy, either. Cattle Egret, White Stork, Common Crane and Hooded Crow were the new in highlights, alongside some more of the expected summer migrants, including the first Swallows on 24th. Time must surely be running out for the first-winter Whooper Swan and the three Pink-footed Geese still ensconced at Thrapston GP at the week’s end, as the arrival of a drake Garganey at Summer Leys LNR on 25th heralds the onset of ‘wildfowl spring’ and sets the clock ticking for their departure. Last week’s drake Red-crested Pochard remained at Pitsford Res until at least 26th and after missing a day, the drake Ring-necked Duck was back at Thrapston for 23rd-24th only. Just one Great Northern Diver was seen at Pitsford on 23rd and 26th and this same locality pulled back a Great Egret on 28th, after an absence of several weeks. Top counts of this species at other sites comprised three at Summer Leys and twos at Stanford Res, Stanwick and Thrapston. A Cattle Egret also (re)surfaced in the Nene Valley. Following unconfirmed reports of one off Ditchford Lane last week, one was located on 25th, roosting in trees around the Cormorant colony at Ditchford GP’s Delta Lake. It was still present on 29th, having visited nearby Stanwick GP on 27th. Continuing the herons, storks and allies theme, a White Stork which roosted in Warwickshire, little more than a kilometre from the county boundary, on 27th, entered Northamptonshire airspace early the following morning as it made its way north-east over the A45 toward Barby. During the early afternoon of the same day it, or quite possibly another, was seen circling low over the A6 and the eastern end of Ditchford GP before drifting off west over Higham Ferrers. This is/are about 23rd/24th records of this species for the county, following a well-documented Dutch-ringed individual at Clifford Hill GP last year. There have been several reports around the UK so far this spring and the likelihood of their being different individuals is commented upon here. Keeping eyes to the skies produced two Ospreys this week – one over Deene Lake on 26th and another flying west over Honey Hill, near Cold Ashby, on 29th but up there with them, in the troposphere, were two, four or six Common Cranes, depending on how you cut it. Two were seen flying east over Brixworth on 23rd, two flew south over Moulton late in the morning of 26th and on the same day, about 90 minutes later, two were over Holcot, heading toward Pitsford Res. Given the close geographical proximity of these reports, it seems logical to assume the same birds accounted for all sightings. These, then, constitute about the 27th record, following on from the ‘gang of five’ over Daventry CP last September, the migration path of which was tracked as they moved south over the UK. On the wader front, Summer Leys attracted two Avocets on 23rd and further down the valley, Stanwick played host to sixteen Ruffs for the morning of 28th. A Jack Snipe was also found at the latter site on 26th, while another was at Thrapston GP two days earlier, on 24th. In a week perhaps unsurprisingly devoid of scarce gulls, late news of the second-winter Iceland Gull revisiting Stanford Res on 22nd emerged too late to be included in last week’s round-up. Two Short-eared Owls remained at the much favour’d locality of Neville’s Lodge (Finedon) all week, one was still at Lilbourne Meadows on 23rd and another was watched being mobbed by Carrion Crows over Ditchford GP’s Irthlingborough Lakes & Meadows on 29th. Which brings us neatly on to the rarest bird of recent times, Hooded Crow, one of which was seen in flight with Jackdaws, just beyond the northern boundary of Summer Leys on the same date. This is only the second county record this century, following one at Alderton in November 2018, which prompted this status review. Meanwhile, the Great Grey Shrike remained in the Blueberry Farm area all week, and the first Firecrest to be found this year was in Pitsford’s Scaldwell Bay on 28th. Following the spring’s first Northern Wheatears last week, further singles were seen at Mears Ashby on 23rd, in the Blueberry Farm area on 24th and 29th and at Harrington AF on the latter date. Crossbills managed to keep up their recent weekly appearances, albeit scantily, with flyovers at Scotland Wood (Kelmarsh) on 23rd and Pitsford Res (two) on 27th. At least one Corn Bunting remained in the Blueberry Farm area again all week. The storm before the calm saw a continuation of last week’s gale force westerlies for the first two days of the period, before high pressure built over the country to deliver conditions more conducive to migration. On that theme, the first Osprey was seen cruising north and Northern Wheatears made landfall at three localities. Maintaining the status quo, the first-winter Whooper Swan – now developing some yellow bill pigmentation – and the three Pink-footed Geese remained at Thrapston GP all week, as did the two Pink-footed Geese at Stanford Res. A drake Red-crested Pochard was present at Pitsford Res between 18th and 21st and a drake Ring-necked Duck paid a fleeting visit to Thrapston GP on the latter date. Tempting, though it is, to believe this was a reappearance of the Earls Barton/Summer Leys/Stanwick bird, with more than twenty individuals scattered across a dozen sites this winter, the fact that remains that it could simply be another of its kind on the move. Pitsford’s two juvenile Great Northern Divers, now having moulted a good proportion of their pale-fringed juvenile feathers, stayed all week, ranging widely between the causeway and the dam, while dwindling top counts of Great Egrets were restricted to three at Stanford Res, two at each of Summer Leys and Thrapston, and singles at Ditchford GP and Welton. Back at Pitsford, an Osprey flew north over Brixworth CP on 18th and a fly-by Merlin was seen south of the causeway the following day. At the time of compiling this report, five Ospreys have now returned to their Rutland Water breeding site. Aside from the first spring migrant Little Ringed Plovers at Stanwick on 18th and at both Clifford Hill GP and DIRFT3 on 21st, other waders on the move this week were single Black-tailed Godwits at Stanwick on 18th and Summer Leys the following day, while Hollowell’s wintering Jack Snipe was still present on 17th and further singles were discovered at Pitsford Res on 18th-20th and at Stortons GP on 21st. More Mediterranean Gulls came through this week, including single adults at both Clifford Hill GP and Stanford Res on 17th and at Daventry CP the following day. Two days later, on 20th, Daventry also hosted a juvenile Glaucous X Scandinavian Herring Gull hybrid, commonly dubbed ‘Viking Gull’ but it did not linger. Elsewhere, the first-winter Caspian Gull was again at Hollowell on 17th, while a first-winter Yellow-legged Gull visited Pitsford on 16th and a second-winter dropped in at Hardingstone GP on 18th. Remaining site-faithful, two Short-eared Owls were still at the regular location of Neville’s Lodge (Finedon) on 21st and one was still at Lilbourne Meadows on 20th, while the Great Grey Shrike remained in the Blueberry Farm area, becoming even more mobile and elusive towards the week’s end. The spring’s first Northern Wheatear was discovered on 17th at Clifford Hill GP, where it remained the following day, while the second appeared at Blueberry Farm on 20th, followed by a third at Borough Hill on 21st. The last few weeks have seen various numbers of Crossbills found at six localities, one of which is the stand of larches immediately adjacent to the car park at Wakerley Great Wood. For many veteran county birders, this area will no doubt bring back fond memories of seeing Northamptonshire’s first Parrot Crossbill, a female, there in November 1990, along with a male Two-barred Crossbill with up to fifty-five Crossbills present at the same time. At least three Crossbills were there on 1st March and up to twelve were present on 3rd-4th March but they have been mobile and not always on show, with no further sightings until 18th March, when seven or eight were seen by James Underwood. Among these was a rather large-billed male with a deep, hefty bill, of which James managed to capture a couple of images. At no time was it suggested it was a Parrot Crossbill but the photos portray a Crossbill with a super-large bill, the first image of which certainly sets the pulse racing. The second image, however, perhaps depicts the true proportions of this individual, which enables a more balanced assessment to be made. The bill appears shallower (but still very large) and the head appears to be in ‘correct’ proportion with the body, i.e. it does not seem to have an overly large head like that of a Parrot Crossbill. Additionally, the visible depth of the lower mandible at its base does not appear to be deep enough for Parrot Crossbill. 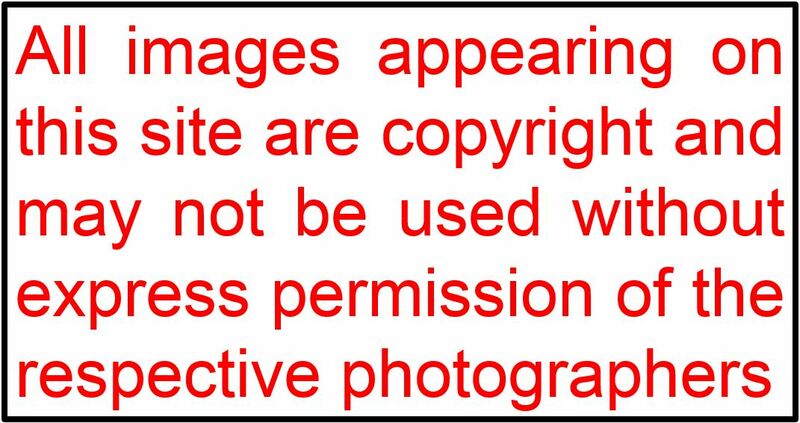 But these are simply two images and how accurately do they convey the true dimensions of the bird and its bill? A succession of low-pressure systems, scudding rapidly across the North Atlantic, brought intermittent gales and rain on predominantly north-westerly winds. A fallout from this was the year’s first Kittiwake – one of a series of inland records during the period. At Thrapston GP, the first-winter Whooper Swan was still present as the week came to a close and the three Pink-footed Geese were still on site on 11th, although only one could be found there on 15th. At Stanford Res, the two Pink-feet remained until at least 14th, while a Barnacle Goose, along with a drake Red-crested Pochard, at Clifford Hill GP on 9th, unsurprisingly elicited little interest. Pitsford’s two juvenile Great Northern Divers were hunkered down well north of the dam all week and Great Egret numbers rallied a little against last week’s low, with maxima of four at Summer Leys, three at both Stanford Res and Thrapston GP and singles at Ditchford GP, Foxholes Fisheries (Crick) and Stanwick GP. An unconfirmed report of a Bittern from Summer Leys’ Pioneer Hide on 14th remained just that, with no sightings the following day. In the raptor zone, a male Merlin was again in the Blueberry Farm area on 10th-11th and the Hollowell Res Jack Snipe was the only wader of note this week. Just one Short-eared Owl showed during the period at the regular location of Neville’s Lodge (Finedon) on 11th and after a couple of weeks of radio silence, the Great Grey Shrike was reported again in the Blueberry Farm area on 11th and 15th. The only passerine migrants discovered during this week’s turbulent weather were two early White Wagtails at Hollowell on 9th. Hopefully, next week’s forecast of calmer conditions will open up the gates for more summer visitors with Garganey, Osprey and Northern Wheatear as odds-on favourites for arrivals over the forthcoming seven days.